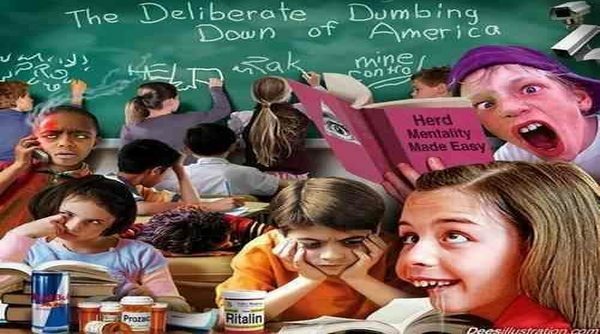 It is no secret that America’s universities, once among the finest on Earth, have been deliberately converted into indoc centers, where students are systematically dumbed down, morally degraded, and programmed to accept without question every insanity of the loony left. Like our media and our government, the system is broken beyond fixing and corrupt beyond all possibility of reform, and should be defunded and replaced by something else. 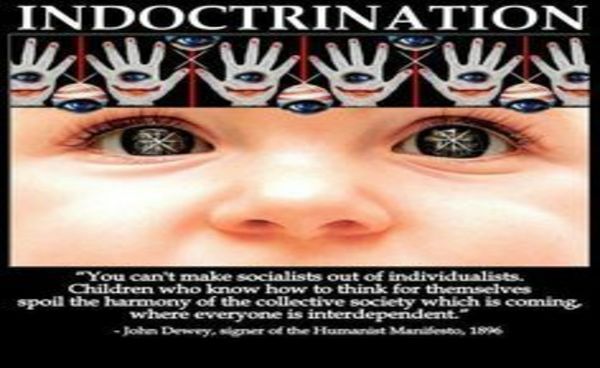 And remember that the universities are only part of the problem; the indoctrination really begins with the public schools. The situation is even worse than it might have been because so many parents and students have been convinced that only white collar jobs are good enough for them and that only a university can prepare anyone for such a career (they are wrong on both counts). And many students pursue liberal arts degrees which, if they required the highest standards, could at least ensure that the cultural heritage of the West was preserved and that the next generation could become good citizens, but they still would not prepare the students for any specific careers or improve their chances of being hired. But now there often are no standards, and many young people pursue degrees that teach them absolutely nothing. Education majors, once the most ignorant of graduates, have been joined by bigoted fools with degrees in Feminist “Studies,” Gay “Studies,“ etc. The presence of that word in the course title is an indicator that no study is required. People with enough money for tuition still go to Hahvahd and other “elite” Ivy League Indoc Centers, but these former universities are coasting on their past reputation and no longer maintain high standards. The first public, or at least semi-public schools appeared in ancient Sumer about 5,000 years ago; the sons of the wealthy learned the cuneiform writing system, making them able to work as scribes, and some went on to study astrology, law, and medicine, and even mathematics, history, and engineering, architecture, and agriculture. Later Mesopotamian empires followed the Sumerian example, and schools, often operated by priests, sprang up all over the world. Universities in the modern sense, as schools where students continued their education at a higher level, usually when they became young adults, began with Muslim madrassas and were developed further by the Christian cathedral schools in the West, where students studied the “trivium,” consisting of grammar, rhetoric, and logic, and the “quadrivium,” of arithmetic, geometry, music, and astronomy. The first true university was probably the University of Bologna in Italy, established in 1088 and granted a government charter in 1,158. The University of Paris, also known as the Sorbonne, was established in 1150 and originally was associated with the Notre Dame cathedral school. The U. of Paris introduced doctorate degrees. Cambridge was chartered in 1231 and Oxford in 1248. True public schools in the US began in New England as early as 1635, and some were made compulsory by law by 1642, but in other parts of the US students were` home schooled or studied at private schools. But the idea caught on, and, in the twentieth century the public schools fell under the baleful influence of “progressives” like John Dewey, and gradually morphed into indoc centers. Meanwhile, universities began to proliferate. Hahvahd, our oldest, was founded in 1636, endowed by John Harvard, in Cambridge, Massachusetts, a Boston suburb. Originally it trained Congregational and Unitarian ministers. Yale was established in1701 in New Haven, Connecticut by Congregational ministers. Doctors and lawyers of the time generally, after primary schooling, learned by apprenticeship. But the idea had caught on, and soon there were state universities…and government control. Of course, the higher-ranking aristocrats don’t attend state universities; they still get their tickets punched at places like Hahvahd, where they receive pieces of paper attesting to their innate superiority over the rest of us. Until the late 1960s US universities maintained high standards. Many of the teachers were old style liberals, left of center but still fairly tolerant of other points of view, and many faculty and administrators were WWII veterans, whose own education had been financed by the GI Bill. But, following the Kennedy assassination, the entire country began shifting to the left, and one Mario Savio (12/8/42-11/6/96) began the “free speech” movement at Beserkeley; before him free speech was tolerated there and even encouraged; now no one to the right of Karl Marx is allowed to address the students. The most radical students of the sixties, including communists and Muslims, would eventually be hired as “teachers,” seemingly by choice. Think Ward Churchill, Angela Davis, and the Bill Ayers of the Weather Underground, who also helped Hussein Obama get his start in politics. Add to that the wonders of affirmative action; indoc centers like Hahvahd had always discriminated against Jews, and now they added Asians and Whites in general to their list of undesirables in order to recruit more “people of color,” especially Blacks and Hispanics, a process accompanied by a lowering of what few standards remained. Melanin is very important to leftists, but academic standards are so old school, and tolerance is greatly overrated, don’t you know. Then came the student loan program, leaving students with worthless degrees and mountains of debt, and this debt, now some $1.5 trillion, is guaranteed by us taxpayers, so the bankers are assured a safe profit, and the indoc centers have been encouraged to raise tuition rates and the already astronomical salaries of indoctrinators and administrators, who are even better paid and less educated than the “teachers,” and whose numbers proliferate. And of course, many of our former universities have huge endowments, are supported in part by wealthy alumni, and directly receive taxpayer dollars or money from land grants. But if we denied all tax dollars, even to state “universities” and ended the student loan program, we could effectively defund the indoc centers and wreck their gravy train. Of course, we have to take the K-12 public “schools” into consideration as well; the entire system must be scrapped. The K-12 part could be replaced by home schooling and private schools, with perhaps government agencies and/or respected private institutions operating a test system to confer diplomas on the students. The private companies where young people seek to work might have their own test system, and hire those who passed. The same would be true for the universities that would spring up and compete with one another, offering many different learning programs. Who says all students benefit from sitting in classes being lectured to for several hours a week? Online programs, actual physical books, and scheduled meetings with teachers able to answer questions and give advice might work for many. Consider a brighter-than-average graduate of home schooling, perhaps rounded by a final one to three years at a private school, an 18 year old actually capable of reading and writing English, with at least some fluency in a modern foreign language, a general understanding of US history and civics and the cultural heritage of the Western World, with math equivalent perhaps to a year of college calculus under our present system, and a reasonable grounding in the sciences. Such a person might elect, say, a year of intensive study of engineering, computers, or architecture, perhaps including some sort of apprenticeship program with a company that might then hire him. Others could train as welders, auto, jet, or diesel mechanics, etc. Those who wished might then, while working, decide on their own time to study the Great Books of the West, rounding out their education. But, like any other meaningful reforms, none of this can happen unless and until the present system collapses…or until we overthrow it with a civil war.